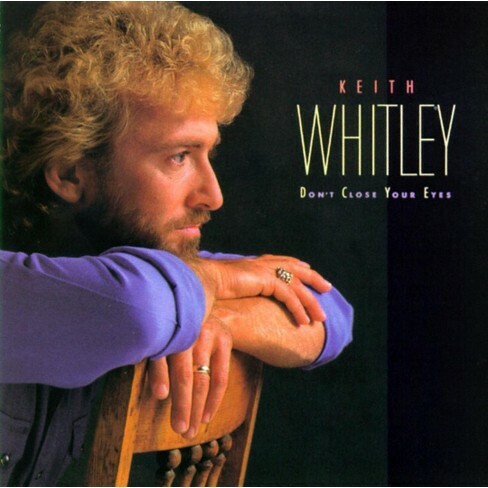 He couldn’t have known it, but Keith Whitley was on his way to becoming a legend during the late 1980s resurgence of a more-traditional country music sound (though Whitley seldom wore a cowboy hat like many). Having worked with Ricky Skaggs in Ralph Stanley’s band as a teenager, Whitley had the voice and the chops for Nashville. The number-one title track from his 1988 album Don’t Close Your Eyes made him a bona fide country star, but he died of alcohol poisoning at 33 about a year after its release. The song would later be cut by Alan Jackson and, taking it from the female point of view, Kellie Pickler. Where most country singles from those days are now a fond memory, the “Don’t Close Your Eyes” single today is, almost inexplicably, one of that era’s strongest sellers digitally. The lyric is universal in its appeal and is based on a sentiment that isn’t necessarily only country, even though the song is now a country standard. For something completely different, if you can find it: Jonathan Hay produced, as part of his 2016 Urban Hitchcock hip-hop compilation, a song called “Don’t Close Your Eyes (Ashamed),” a tribute to Whitley that interpolates Morgan McRae’s singing of Whitley’s song with original rapped lyrics about the effects of alcoholism from California hip-hop artist Kxng Crooked. You can still find this version of the song on YouTube, but the recording that once was available for streaming and sale seems pretty hard to come by online these days.